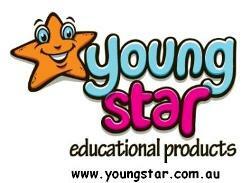 Quality Wooden Toys and educational toys for children from birth to 12years. Come and explore our fantastic range of puzzles, educational aides, puppets, science activities, books and much more from our favourite brands which include Melissa and Doug, Janod Toys, Djeco, Kimochis, Whipple, Boikido and many, many more. We offer free gift wrapping and a flat postage charge Australia wide. As it is my business I aim to get your order out either the day it is placed or the very next day (depending on the time of ordering) and the best bit is that if the product you are looking at says that it is in stock 99.9% of the time it is! We offer many different payment methods as we understand that different consumers have differing confidence levels when purchasing items on the internet so you can select the option that best suits you. We look forward to hearing from you at some stage soon!